We were tasked with assisting Apprentice Finalist Jemma Bird promote the launch of her new business. 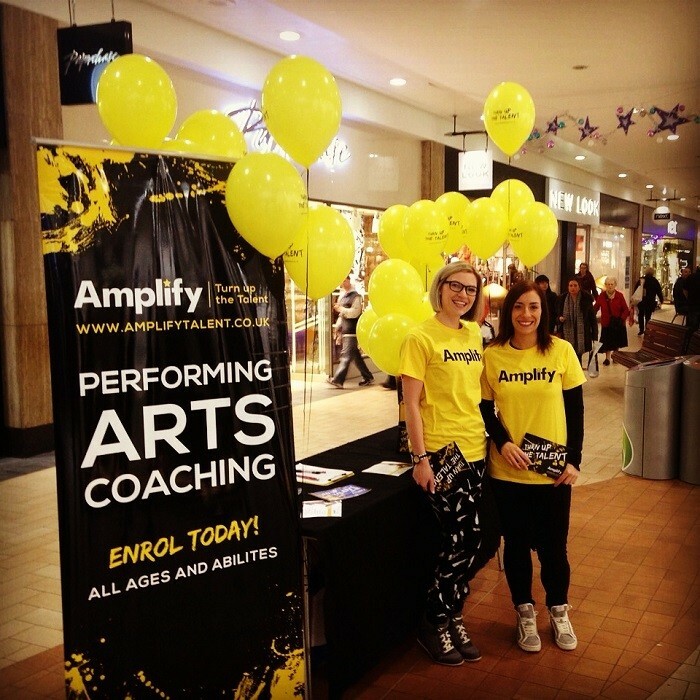 Amplify talent is an innovative stage school for people of all ages. Amplify teaches a accredited syllabus technique in dance drama and singing. Jemma needed a bubbly chatty performing arts enthusiast to assist her spread the word about the launch of her new venture. With a background in Performing Arts Rachael was the obvious candidate for this event. Jemma & Rachael hit it off immediately and spent the day handing out balloons generating interest and leafleting passers by. As huge fans of 'The Apprentice,' we were delighted to assist Jemma spread the word about the launch of her new business.